Smarties, Mega Lollie 60ct. Tub. 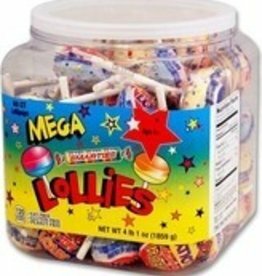 Each individually wrapped marties Mega Double Lollipops weighs over one ounce and will bring pleasure long after the wrapper has been removed! 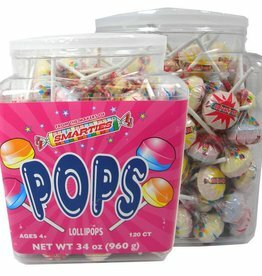 Smarties, Lolli Pops 120ct. Tub. These candies are just about one of the best candies around. They're delightful during the day or at night. 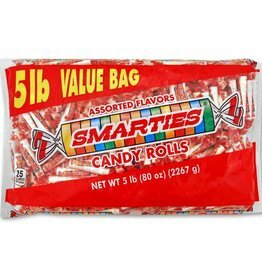 Smarties 5lb. Bags. The perfect treat anytime, anywhere. No need to worry about a mess in the heat- they won’t melt!